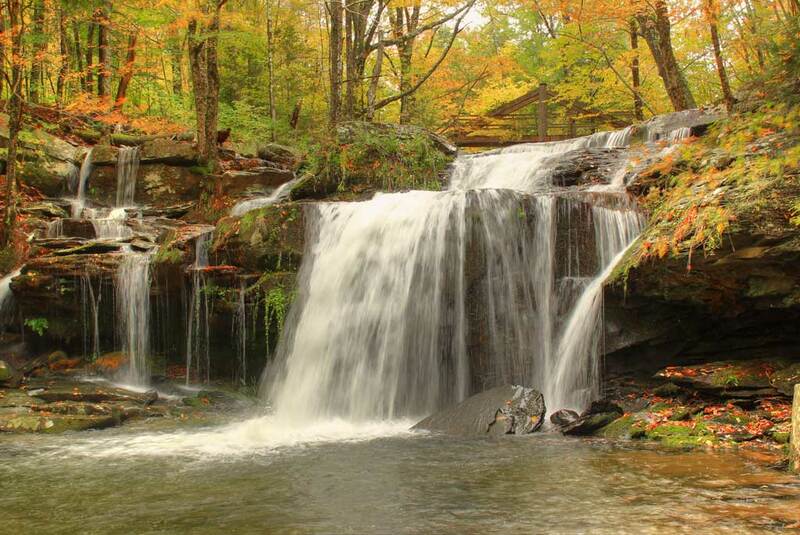 Here is a picture of the Old Mill Waterfalls. It sits about 50' east of the Old King Post Bridge (Overlook Carriage Road - Woodstock to Platte Clove). And, the Old Mill Walterfalls sites about 100' above Plattekill Falls. that is really pretty. Great Fall photo shot.